It’s a common misconception that blackheads are the bi-product of dirty skin. The truth is, they can be present in any skin type. They are caused by essential oils that we all have in our skin becoming trapped in and enlarging a pore. They are stubborn to remove and can be aggravated by using the wrong products! Oil is made by the sebaceous glad that is attached to the hair follicle, also known as a pore. If too much oil is made, or there is dead skin covering the hair follicle, it will create a back log and it will stretch the pore. This build up of oil and dead skin darkens when exposed to the air as it oxidises creating that black spot we are all so familiar with. Products that you can buy over the counter in high street stores and supermarkets are based on stripping ingredients such as alcohol, tea tree, menthol and eucalyptus which, if not complimented with balancing ingredients that hydrate your skin, can make black heads worse! The body will recognise the lack of essential oils and produce even more to replace it. 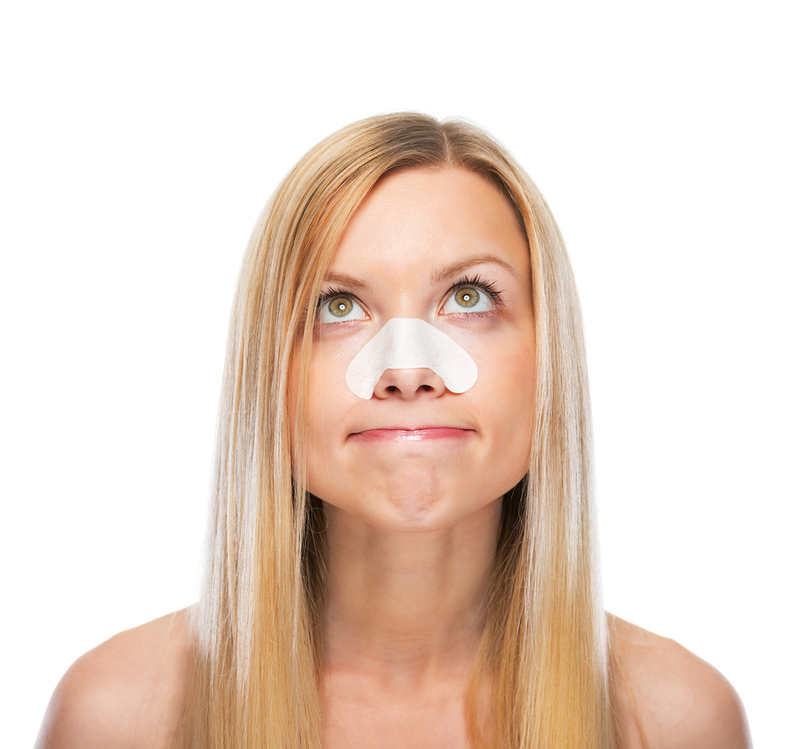 Other things that don’t have much of an effect when treating blackheads include scrubbing your skin. The root of a blackhead is deep in the hair follicle and a scrub will only buff the surface of the blockage. Even deeper mechanical exfoliation like microdermabrasion will not correct blackheads on it’s own. Although it has amazing refreshing benefits for the skin, it cannot reach into the hair follicle to correct the excess oil production. Pore strips won’t have a long term effect either as they pull off the surface head but as the oil underneath it oxidises it will darken and your blackhead will be back within a couple of days. 1) Exfoliate your skin with a combined AHA and BHA cleanser. An AHA is a chemical exfoliator like glycolic acid. Glycolic Acid will exfoliate excess dead skin blocking the hair follicle. BHA is also a chemical exfoliator but it targets oil. Salicylic acid is a BHA that will cut through excess oil and exfoliate inside the pore. 2) Absorb excess oil to avoid making blackheads worse. Using either a clay mask or a product with oil absorbing technology will help to balance the oil levels in your skin and draw out imperfections. 3) Help to shrink pore size by using a serum or crème with Vitamin A. The cells that keep your hair follicle taught can become damaged and lazy meaning your pores can relax and expand. Retinol is a cellular messenger that will kick start these cells back into action and tighten the pore.4) Use an oil free serum that will add hydration to your skin without causing a blockage. A cosmeceutical grade serum that contains hyaluronic acid will balance the fluid in between your skin cells so the body won’t make as much oil. 5) Use a physical sun protector every day. The most harming sunray is UVA because it causes DNA breakdown within our skin and hair follicle cells. Sun exposure is a form of oxidise stress so can make pores larger and blackheads darker. 6) Undergo a course of chemical peels to boost the work your skincare at home is doing every day. They will dramatically improve the appearance of pores and trigger a repairing response in the skin that will help your overall complexion. The  Clear Cell range by IMAGE skin care contains potent levels of AHA’s and BHA’s as well as anti-inflammatory ingredients and gentle surfactants that will thoroughly clean your skin, without drying it out. Clear Cell Clarifying pads are excellent in any skin care program to tackle blackheads whilst targeting other concerns like pigmentation or spots. AGELESS products from IMAGE also contain glycolic acid, salicylic acid and retinol. Hydrating Hyaluronic Filler serum that is also in the ageless range combines short and long chain hyaluronic acid for correction of dehydration, balancing your skin. There are many more tips and tricks your IMAGE skincare specialist can offer you in the war against blackheads! So speak to your nearest IMAGE stockist and book your consultation in which your skin specialist will offer a thorough skin analysis and a tailored prescription of home care products to suit your skin type and budget. To find your nearest IMAGE skin care stockist, click here.